She'll love the sparkling style in cooler weather wearing the SKECHER Street Double Up - Shiny Season boot. 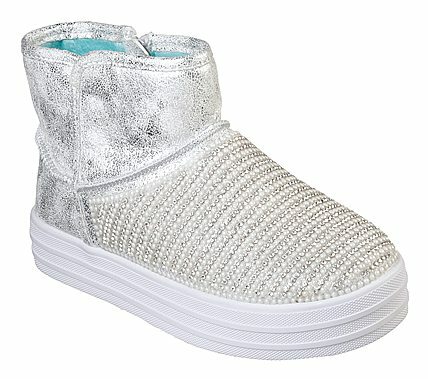 Soft microfiber fabric upper in a zipper side cool weather platform soled ankle height sneaker boot with stitching and overlay accents. Air Cooled Memory Foam insole, faux fur lining.